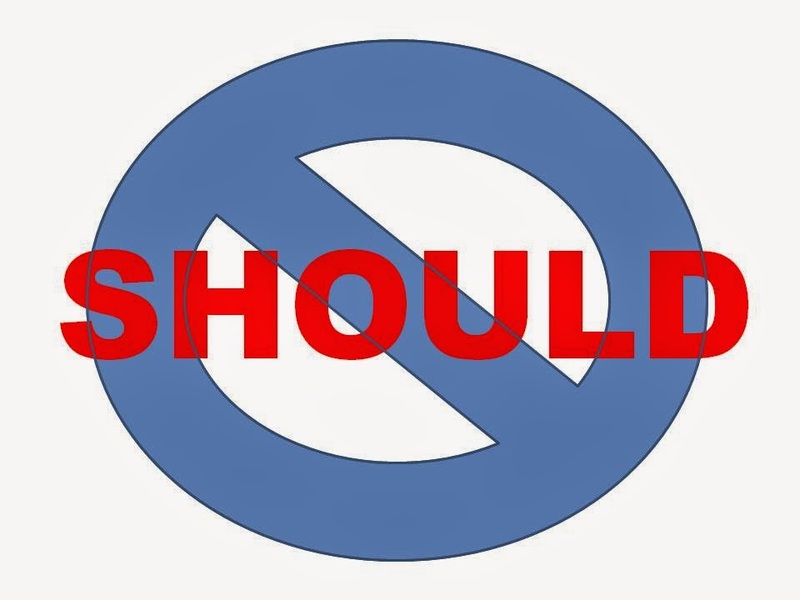 Why We Should Do Away With "Should"
“Should” is a word which needs to be relegated to the second string, a backup word which is used sparingly and only when absolutely necessary. When we overuse “should” we build paper mache reality full of guilt, regret and unfulfilled hopes. You should show up at work earlier. I should have studied more in college. He should have done his part of the project. I should be able to get that to you this week. Should, should, should. It’s a word of unfulfilled expectations, an indication that things are not as they ought to be but without certainty that they will be repaired.